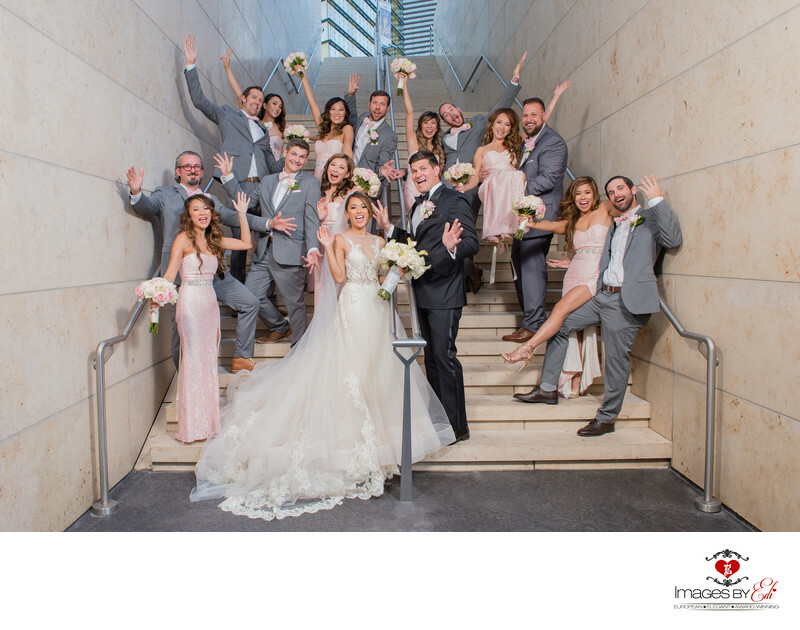 Wedding party is having fun during our photo session on the stairs leading from the Mandarin Oriental Hotel Las Vegas to the Aria Hotel waterfalls. Mandarin Oriental Las Vegas is a non-gaming and smoke-free, Forbes triple five-star luxury hotel in the heart of the Las Vegas Strip. The couple got married in of the luxurious ballrooms of the Mandarin Oriental Hotel, than after a short walk to the waterfalls -with a lot of stops to take pictures- we headed back to their Mandarin Oriental Hotel reception.